The phase of unconscious suffering. The phase of conscious suffering. These three phases occur sequentially, one after the other, in almost all the cases, and the length of each one is different for each person. To demonstrate further, I am going to use an example of someone called Lisa. Lisa is a thirty-four-year-old woman who has been suffering from anxiety and depersonalization for a few years. Let me walk you through her three different phases of recovery. The first phase is something that I term unconscious suffering. During this stage, Lisa knows that she is suffering but she’s not exactly sure what is going on with her. She’s constantly worrying, she’s always nervous about the future, and from time to time feels disconnected from reality and herself. She has heard of the term anxiety before but can’t say for sure what causes it or how to recover from it. 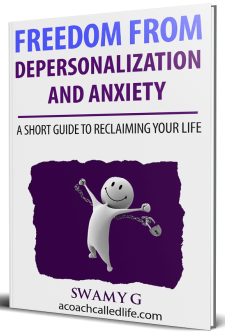 To her, the terms depersonalization and derealization are very foreign, even though she experiences them and finds it scary and disorienting. Lisa’s suffering is absolutely real, but she is unconscious of what is going on with her. She has trouble sleeping and sometimes wakes up in the middle of the night with cold sweats and a fast beating heart. She is constantly worried and her friends and co-workers are noticing that she is avoiding social interactions. She doesn’t yet know the right approach to handling a panic attack or a sudden onset of anxiety, and just does what her instincts tell her to do: either fight to control these feelings or try to run and hide when they get overwhelming. One night, she randomly searches her symptoms on Google and lands on a blog containing an article that tells her that she is suffering from anxiety with symptoms of depersonalization (DP) and derealization (DR). She is relieved to know that there are other people in the world who have the same experience as her. She proceeds to read every single article from that blog to learn as much as she can about her condition. She slowly puts together a picture of her condition and what she can do about it. She gains knowledge and wisdom through reading articles, books, and talking to others on forums and Facebook groups. She seeks the help of someone who has gone through what she is going through and learns about the various practices for curing her illness. Lisa is pleasantly surprised to find herself feeling hopeful after a long time. She isn’t cured yet, there’s still a long way to go for that, but she finally gains some confidence that she can recover from this condition. This above phase is called conscious suffering, where one suffers, but has an idea about the causes of their suffering and knows that there is a chance of recovery. One understands what is happening to them and is not simply a slave to their instincts. Next time Lisa finds herself feeling panicky or out of touch with reality, she decides to not run away from that feeling but instead chooses to face it. 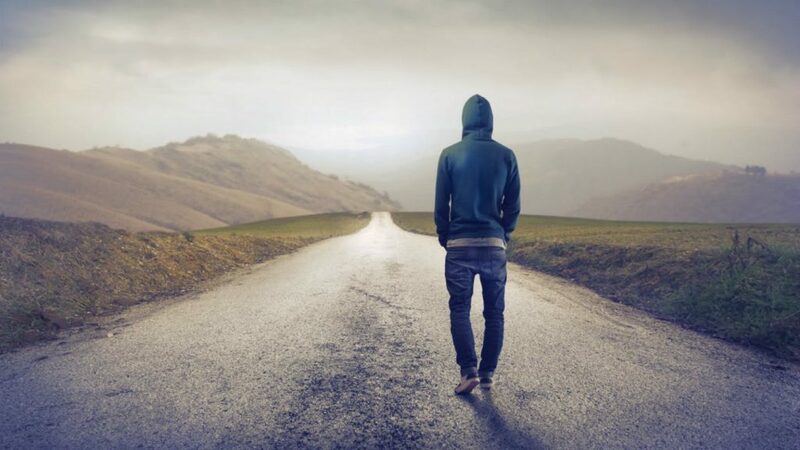 She practices what she has learned from books, forums, and her counselor and gains the courage to face her dreadful feelings which scared her in the past. She feels like her days are getting better. She’s able to connect with other people, manage work, and not feel completely exhausted at the end of the day. Even though she is seeing better days, she still experiences times where the intensity of her anxiety and depersonalization is overwhelming. But she doesn’t lose heart. By now she has understood that this is what recovery will look like. She enjoys the days where she experiences no anxiety at all and at the same time, accepts that there will be days in a week where her old scary feelings will return. Over time, she finds that she has grown wiser and has become mentally strong through her experience. What used to scare her before is now only a mild inconvenience. Most days of the year, she doesn’t experience any anxiety or DP/DR. And when she does, its intensity is so weak that she’s able to ignore it if she chooses to do so. She is now in the recovery phase. She lives a complete life now. A life that has both ups and downs and one that has room for all her different feelings. Through this experience, she has gained the inner strength to bear the adversities in her life. During her free time, she now helps other people get out of their unconscious suffering. Just like Lisa you too can move from unconscious suffering to recovery. What is required from you is a resolve to face the feelings that scare you with an attitude of acceptance, and patience to let the body and mind come back to their normalcy. You will also benefit from understanding that ultimately you are not in any real danger and that once your body and mind return to balance, anxiety symptoms such as depersonalization, racing mind, unwanted thoughts etc. will go away with it. Hi, i have been suffering with depersonalization for a little under two years now, which I believe was brought on by a mental breakdown (or so i refer to it) due to a very stressful time in my life. I had suffered with these symptoms many years ago but can’t really remember If I did or I have just conjured up this thought along with many other “memories” I have. The question I have is, what if you just can’t except that this feeling is really a symptom of anxiety? I mean I read people’s comments on how they have read articles etc. And how it comforts them to know that this is just a “symptom” of depression and anxiety but for me the irrational side of my brain keeps telling me that this can’t be just anxiety and that i really am living in some kind of dream and the dreaded feeling of impending doom sets in which of course heightens the feelings of unreality. I just constantly feel like something is off in the world and can never shake this feeling. I cant even imagine a life without these feelings anymore. I do everything a normal functioning human being does like work and bring up my children edd but this feeling of constant unreality just makes it all feel some what pointless! Any help or advice would be most welcome at this point. Thanks for reading.